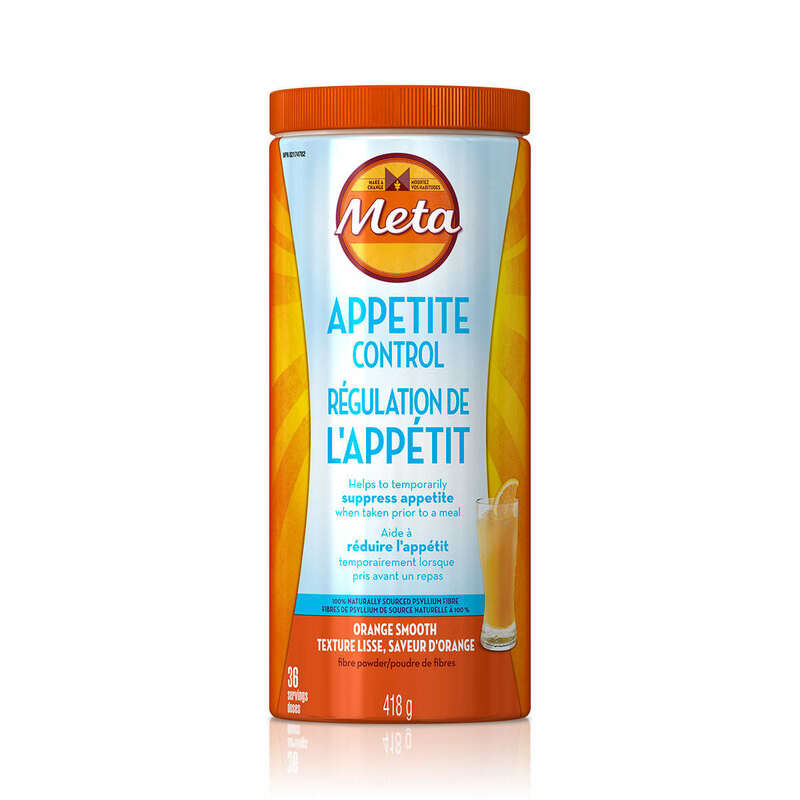 Meta Appetite Control helps to temporarily suppress appetite when taken prior to a meal. 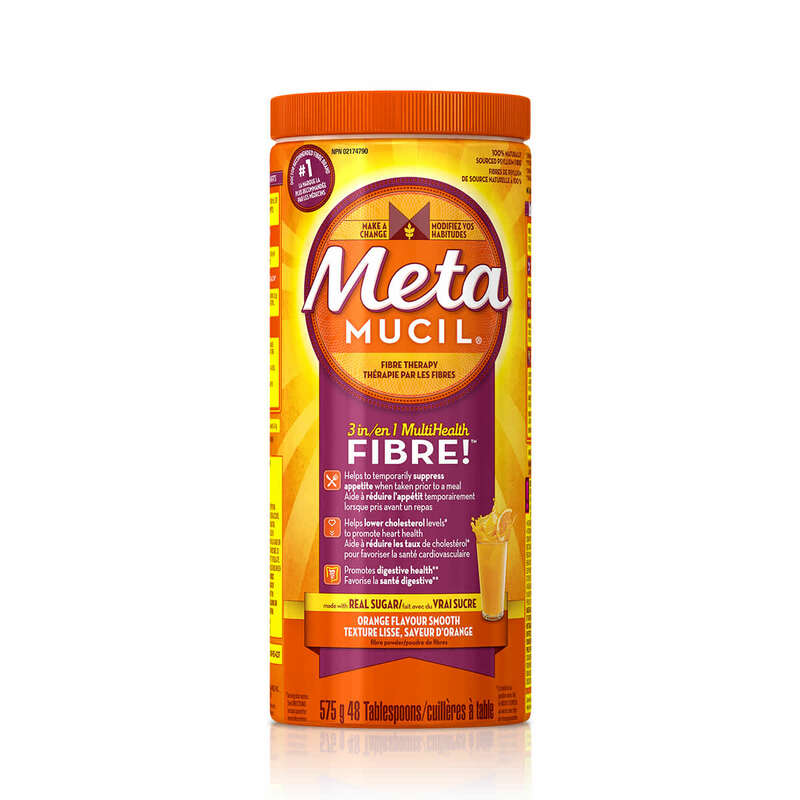 From the makers of Metamucil – the #1 Doctor recommended fibre brand‡ – Meta is made with 100% natural source psyllium fibre. Crush cravings with great-tasting Meta Appetite Control. FOR ADULTS ONLY: 2 ROUNDED TEASPOONS (11.6g) OR 6 LEVEL TEASPOONS (11.6g) IN 240 mL LIQUID WITH MEALS, UP TO 3 TIMES DAILY. FOR OCCASIONAL USE ONLY.